Wildflower in the Mix . . .
West of Hudson and south of Christopher resides an area of wide, low factory buildings inhabited primarily by parcel carriers, garages, and light industry. One green space in the West Village is found within this unlikely section of the neighborhood. 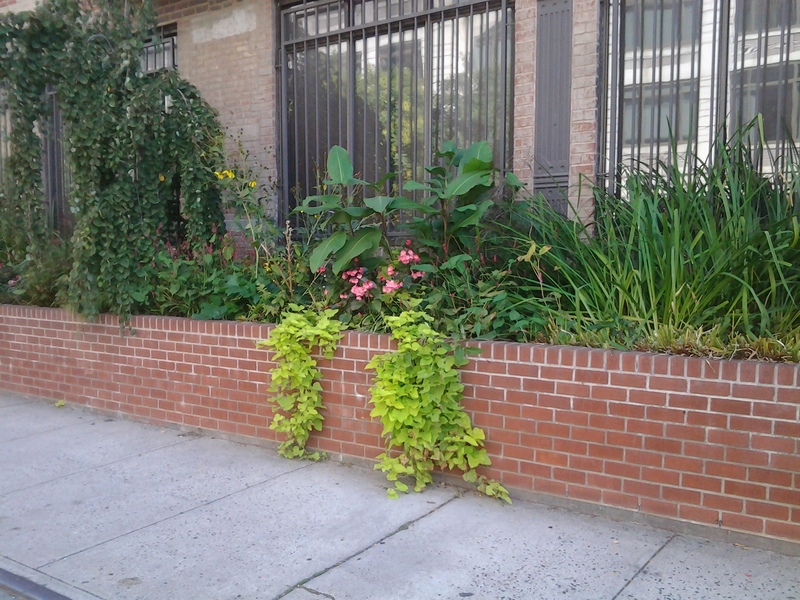 A redeveloped residential building along Washington Street has added a red brick extension along the sidewalk that supports a narrow garden of flowering plants. 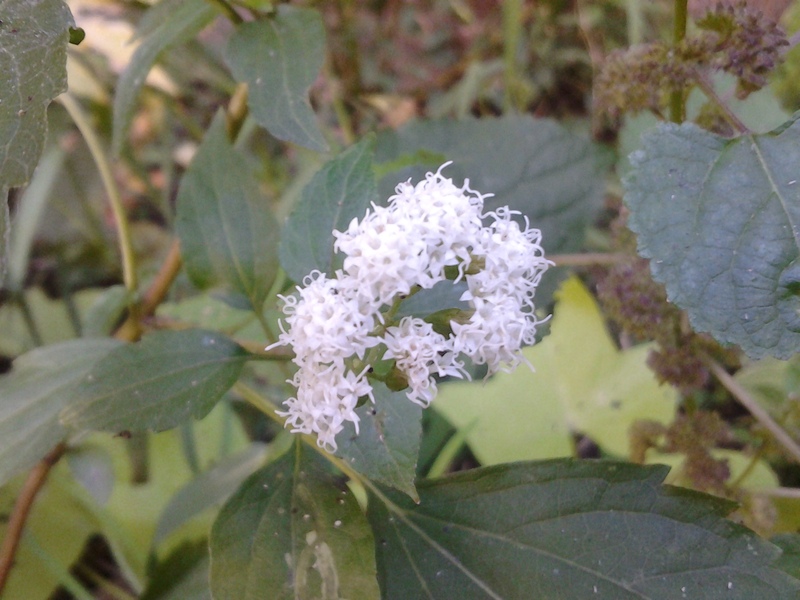 Nestled within various domesticated blooms I today found a wildflower: White Snakeroot, Ageratina altissima. I was not so surprised by that what I discovered, as this is the peak season for this autumnal Asteraceae. What did stand out was the where. Once again a walk has brought me to a moment when nature and the city intersect. 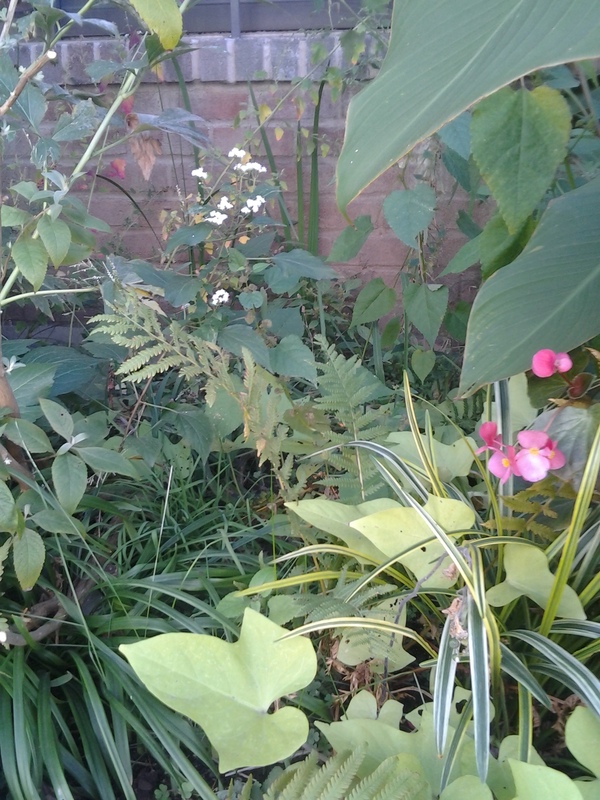 It is always fine to discover a garden in a built up area, even nicer when there is a native perennial in the mix.